Attempted (but failed) Halloween Zero waste style! So I never intended to make a Halloween post, but someone on the Facebook page asked for posts so I thought, hey why not! 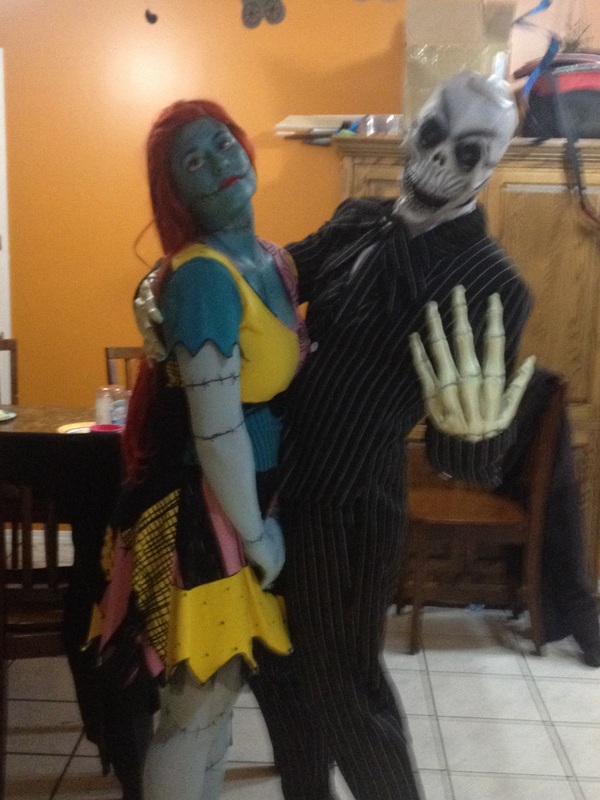 My costume this year Is going to be Sally Skellington from Nightmare before Christmas! I was very excited for it but It was anything but zero waste to get it! I ordered the costume and wig which came wrapped in plastic (of course!) 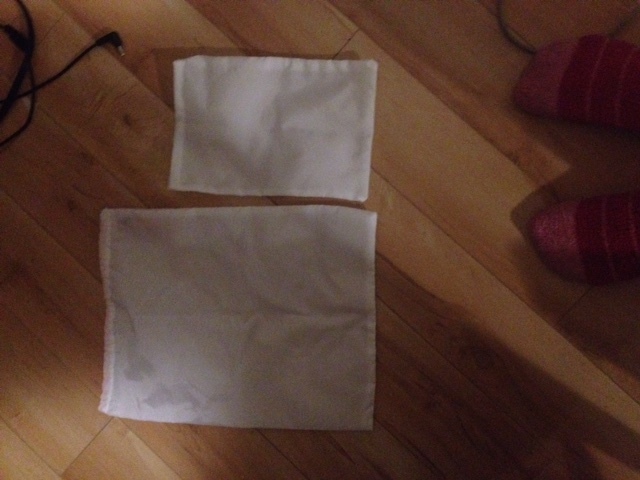 and also I bought tights for the arms and legs which came with a cardboard wrapper! which is great, but also came with a plastic hanger type thing 😦 boo! I also had to dye the tights blue, which I was going to try a tutorial for dying with koolaid! and it totally flopped, sad to say I wasted about half a container of koolaid that I could have avoided buying in the first place, and ended up buying some tie dye instead (which worked great!) but it came in plastic bottles and wrapped in plastic again! So on the whole It was very non Zero waste, the only good points are I can Reuse the costume again, I can use the wig for multiple costume, and I was able to steal some makeup from a friend instead of buying an entire container of my own. It will be a fun experience and i’m glad I did it, and hey I’m not perfect! reducing my waste in other ways is enough for me for now. In other news I am going to make homemade Hummus and Pita bread for the party, so I avoided a plastic container and bag right there! I also plan to bring my own cup to avoid all the plastic ones, the good news is the party is in my landlord garage so I just have to go upstairs! How does your Halloween compare? 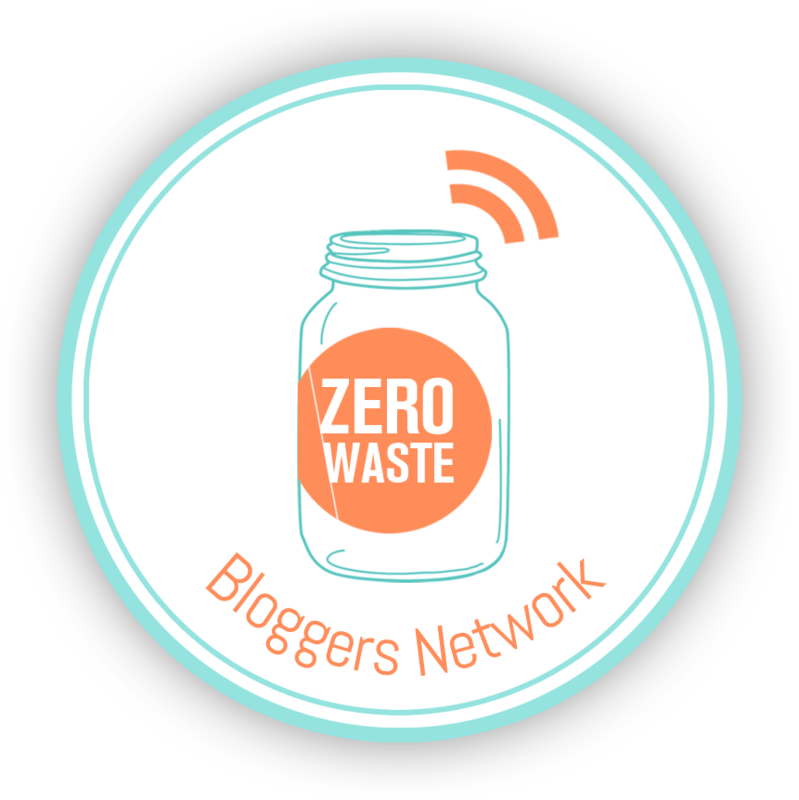 It has been about 4 months since I have started my zero waste journey and I wanted to do a bit of a recap and see how far I have come. I realized there was a lot of stuff I was already doing that helped to be Zero waste, like drinking from a reusable water bottles, but I have made quite a few changes and still have quite a ways to go! Started using coconut oil instead of face cream or face wash.
Continue the search for unwrapped TP. Made reusable bags for bulk items. Always use reusable bags for fresh produce and everything else. Try to make things from scratch if possible or buy the item in glass or unwrapped whenever possible. Shop mainly in the bulk section and produce section. Became a Vegan! great for getting rid of that nasty meat packaging and makes composting easier! I bought some Reusable Paper towel to use once I have gone through my supply. Stopped using Ziploc bags, parchment paper, tinfoil and saran wrap. Made my own bees wrap. Stopped buying different drinks, unless needed, then opt for glass. There isn’t whole lot in this area one can become Zero waste but I can become Minimalist, and I was frustrated with all the clutter happening in my house. I donated about 1/2 if not more of my clothes, and shoes. Starting using handkerchiefs out of scrap fabric I had laying around. Bought some hand towels at work so I wouldn’t be throwing away paper towel every day. Switched to a Stainless steel water bottle. Opted to fix my phone screen as opposed to buying a new one. Encouraging others to learn from my example. Finding a way of recycling all the obscure items such as old phones and cords. Buying E books or using the Library. Bringing my own containers for Eating out. Speaking up about no straws or napkins when out. All right I think that’s it for now! It is really great to see the progress I have made! once I begin composting I think I will try and put all remaining garbage in a jar, so it doesn’t go to the landfill and I can track my progress. If any one has questions or ideas please comment! Shampoo Bar for the win! Recently I had the opportunity of going to Lush! it’s very exciting as they have a ton of stuff that is natural and un-packaged, and the don’t have one in the town I live. Originally I was going to use the no poo method, but since I had the chance I decided to try out a shampoo bar. If your like me and when you first heard the idea of a shampoo bar, It turned me off. I figured it would be like using bar soap which gives a bad feeling, residue or would dissolve way too quickly in your hand. I was joyously surprised when I first used mine. It gave a nice lather, didn’t dissolve right away in the water, and made my hair feel clean!I have to say I am impressed! It also looks like it will last quite a while, hopefully I won’t run into any problems with mold or anything like that. I also love the price! $10 as opposed to the 50 bucks for professional 1L of shampoo! I also bought one from rocky mountain soap company, I look forward to using this one next, once my lush one runs out. So after my busy long weekend I had a busy evening trying to prepare for the coming week. I am really bad for getting pictures for my blog but this week I tried harder! I made 5 large bulk bags and 6 small ones out of rip stop nylon. they are light weight and have a drawstring. Easy simple and effective! I also made my own almond milk! Easy peasy! I didn’t have cheese cloth so I used my tea filter jug and it worked pretty well except I couldn’t really squeeze the moisture out properly. I have the pulp left out to dry so I can make almond flour! Lastly I tried my first tofu meal in my new attempts to be Vegan! I made kind of a southwest scrambled “eggs” with toast, salsa and 1/2 an apple. Everything is looking up! can’t wait to try some more recipes! For those of you who didn’t know this weekend was thanksgiving here in Canada! Me and my boyfriend and our 2 friends decided to car pool down to Edmonton for a Slash concert! So with living in a small town and getting the opportunity to go to a huge city means tons of shopping! How did this go being Zero Waste you might ask? surprisingly well actually. I made a list of things I needed and a list of things I wanted. I mostly only bought from the needed list as opposed to the want list. I didn’t end up going too much over board which I am incredibly proud of my self for doing! I got my pair of Fall/Spring boots that I had been looking for, and they met all my requirements as well! grippy, warm, and waterproof. I also got another pair of tom type shoes for $8. I couldn’t say no because of the price and they are great slip on shoes for running out of the house quickly without having to tie up your laces every time. I also bought 3 tins of my favorite teas from Davids tea. The only waste on these would be the stickers. I can reuse the tins if I remember to bring them in next time. I excitedly got 2 different shampoo bars to try out! 1 from lush (and a bath bomb) that both came waste free and a second one from Rocky mountain soap company which came with a waxy kind of paper which I don’t think is compostable. I bought a princess dress for my step daughters second birthday! Merida is the obvious choice for a red headed girl don’t you think? Lastly I got some fabric for a couple projects i am working on. I refused the plastic bag and just tossed everything in my backpack. paper cover from shampoo bar. 3 stickers from Davids tea tins. 2 plastic bags from shoes and dress. 10 straws and napkins from various meals. Lastly 2 Styrofoam take away containers. I lucked out and had one that was cardboard/paper. Over all I would say this was a successful trip! Today I called up the local grocery store, The only one with a bulk section anyways, to ask if they could tare jars so I can buy in bulk waste free. It was slightly heartbreaking that they did not! Apparently they don’t have a tare option on their tills so unless I want to pay for the weight of the jar as well I am out of luck! Does any one have a solution for something light weight that I could make or buy? I’m thinking about just keeping a couple of the bags and reusing them until they fall apart. My first response back from a company about Eco packaging! So before I started this Zerwaste lifestyle, I ordered a 6 month subscription to Urthbox! I gotta say I love it! the Urthbox its self comes in a Cardboard box with no other packaging…well besides all the delicious snacks inside. I decided after trying some wonderful freeze dried chocolate covered strawberries, that I would write to the company and see what their views on different packaging were! I am pleased to say I got a pretty good response. See below. from Conillin Chocolates. Thank you for reaching out to us, we really appreciate the feed back. We are glad that you loved our Chocolate covered Freeze Dried Strawberries. Currently our 1.25oz boxes are recyclable and use recyclable paper in their manufacturing. We hear you on the plastic bag aspect. We have been looking into Eco bags that break down or decompose quickly with minimum harm to the environment sense we created our product. Currently we have not found any Eco bags for our 1.25oz packaging that provide the moister and air/odor blocking needed for our freeze dried chocolates to stay fresh. However we do have Eco friendly Kraft paper material bags for our 1 lbs size Panned and Toffee. I hope this provides an answer to your question. We look forward to having you enjoy our chocolates again in the future. Please help spread the word of our chocolates to friends and family. While its not a solution, every bit helps when changing peoples minds and making them think differently about their packaging! Has anyone else had any luck with contacting company’s?